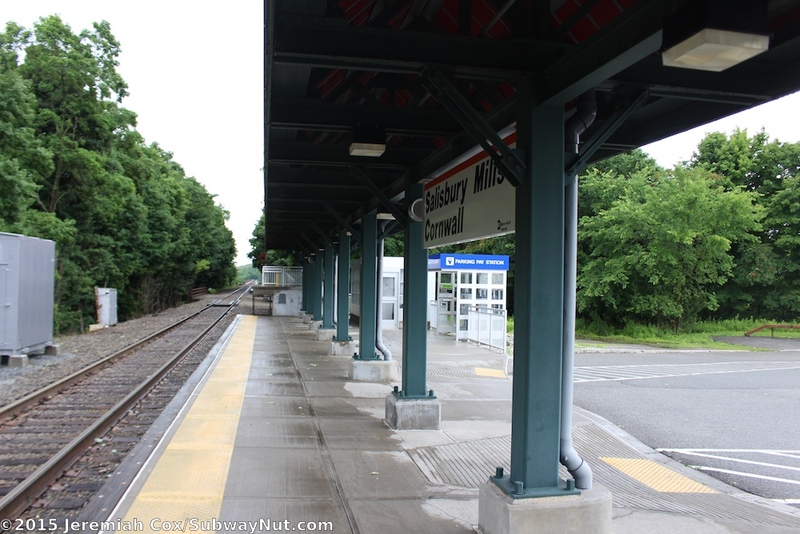 Salisbury Mills-Cornwall Station is located just north of the Moodna Viaduct, a 3,200 foot long trestle viaduct with a completely open cast iron design that was built by the Erie Railroad to complete the Graham Line between 1904 and 1908. 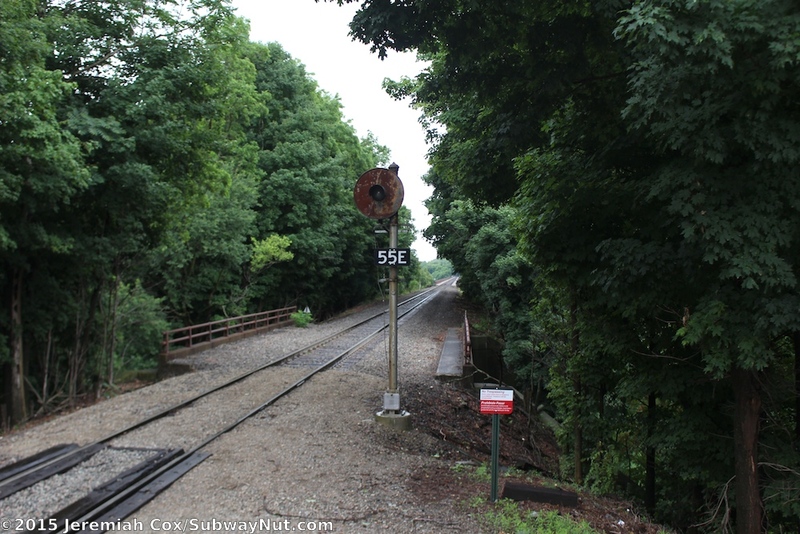 The viaduct is the highest and longest railroad trestle east of the Mississippi River. 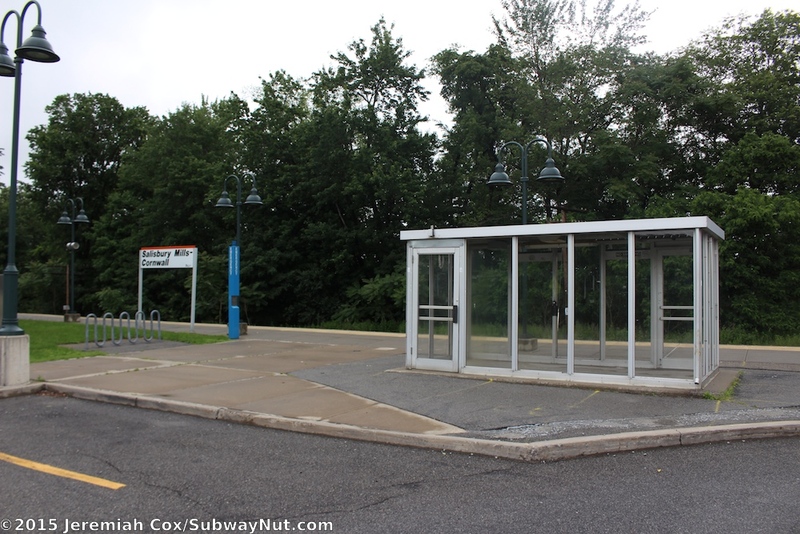 The train station opened in 1983 and was originally extremely sparse with just a single glorified bus shelter with doors and press for heat button as the only amenity for waiting passengers (still in existence). 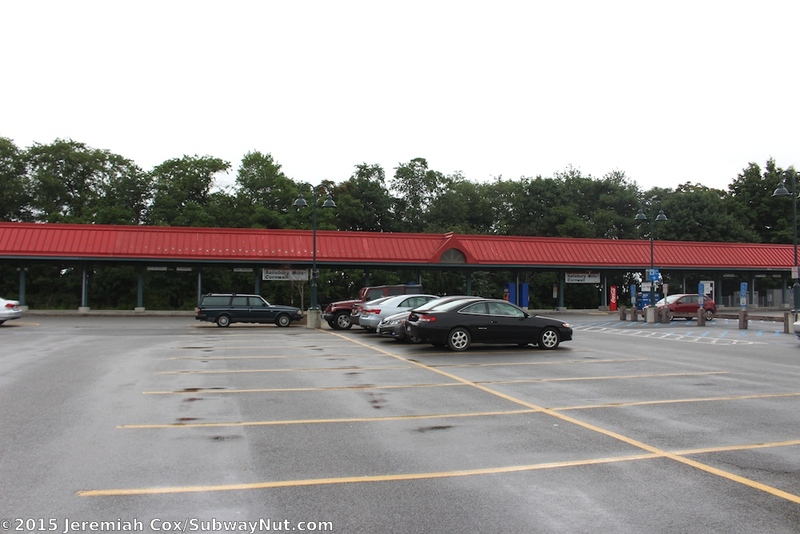 A new canopy structure and other improvements were made between 2004 and 2007 including the conversion of free parking to pay parking. 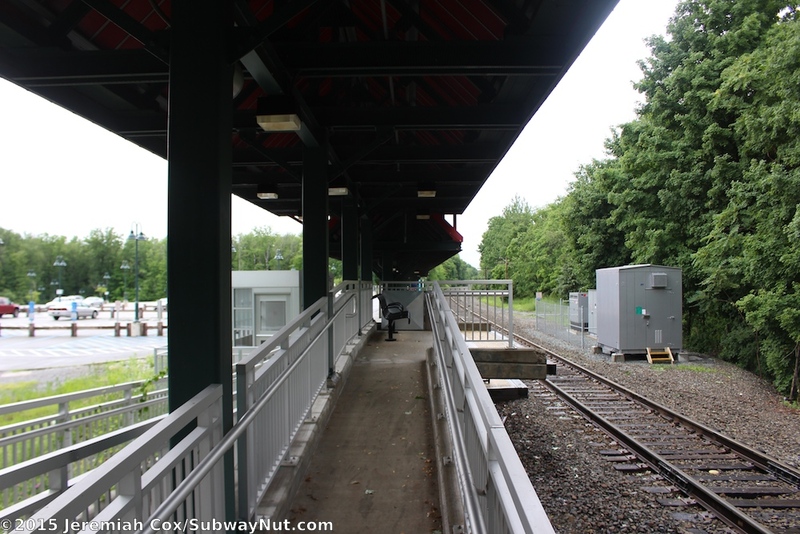 Today the station has a 5 car low-level side platform for the single-track line with a tactile warning strip and mini-high platform for wheelchair boarding via a bridge plate at its southern end. 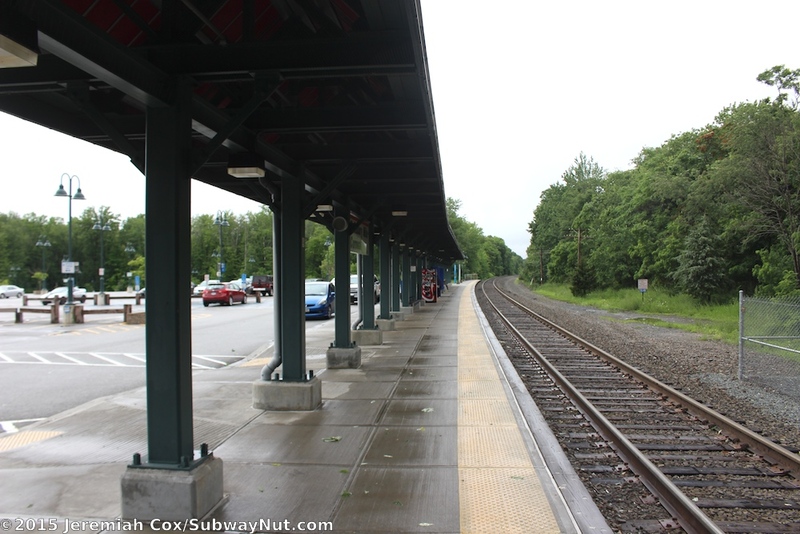 All but the northern car of the platform, including the mini-high platform and its associated ramp is covered by a canopy structure where teal beams hold up an orange roof. 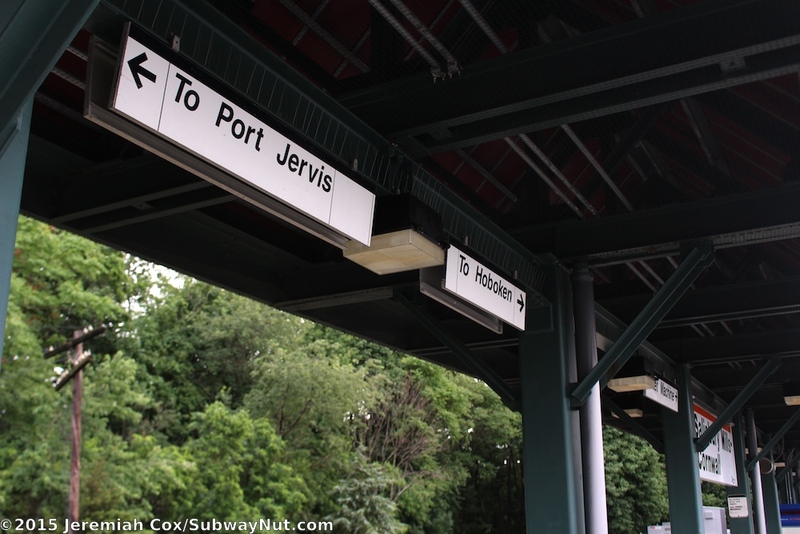 Station name signs hang down from the canopy (this is a rarity on Metro-North). 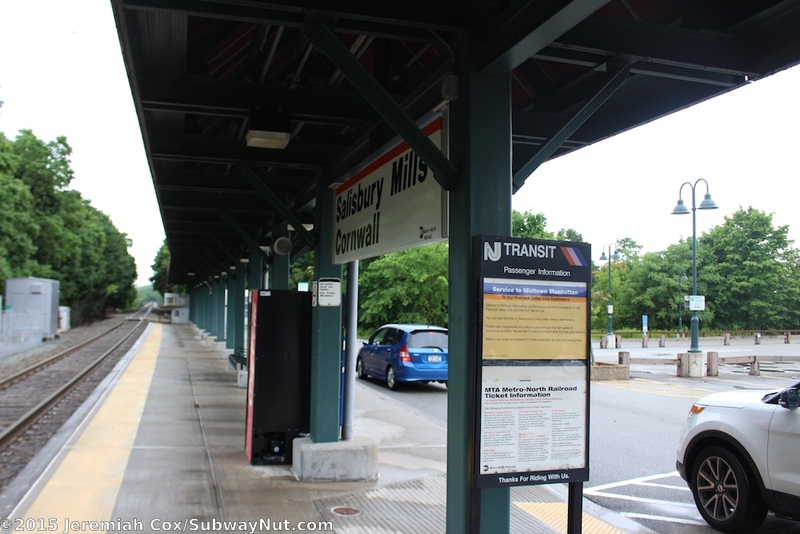 Beneath this canopy are the stations two TVMs and a couple of information panels, one is the NJ Transit standard. 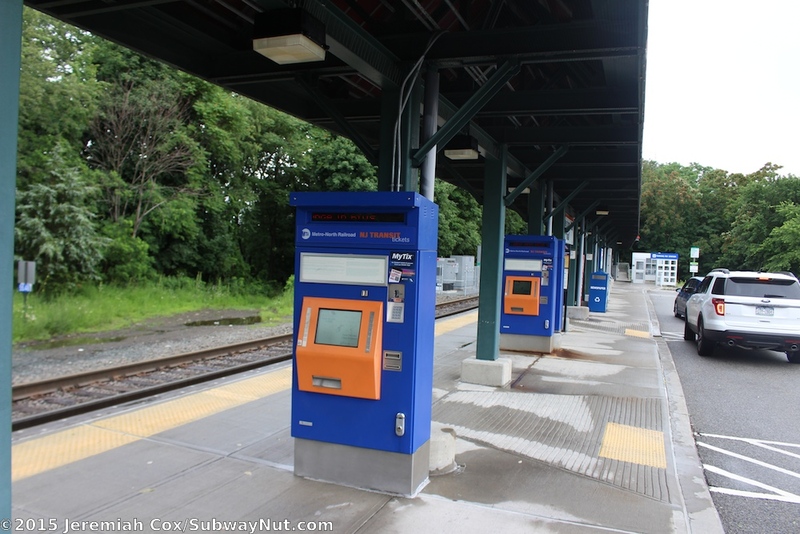 There is a normal blue Metro-North recycling center. 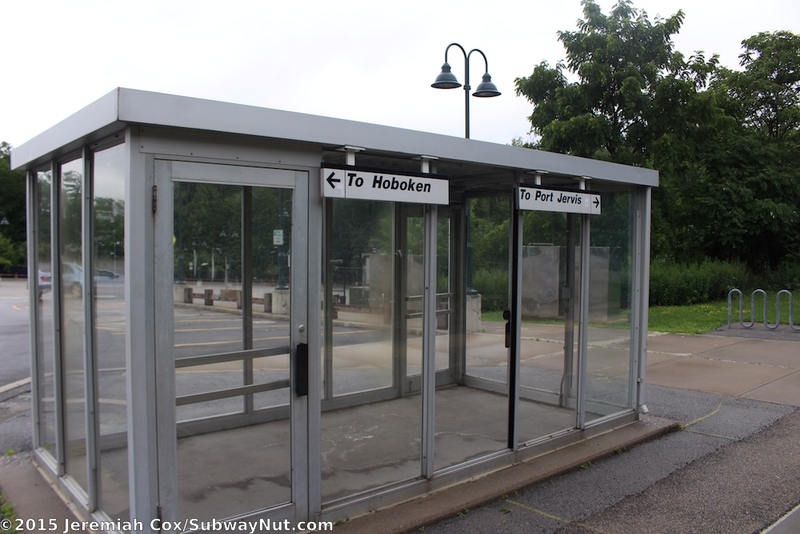 Near each end of the platform is a small enclosed waiting shelter, at the southern end by a bike rack is the original shelter with plexiglass walls and two doors, the other one by the mini-high platform is more modern with smaller blocks of glass for the walls. 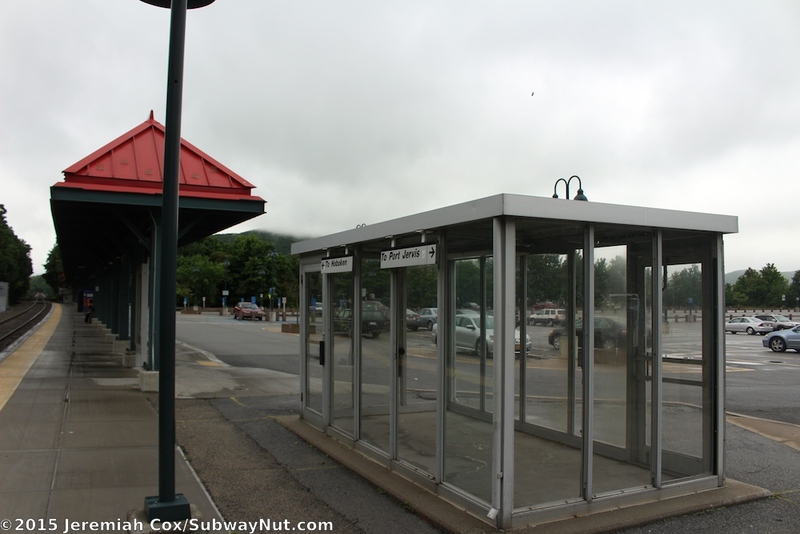 A shelter covering the parking pay machines is also located here. 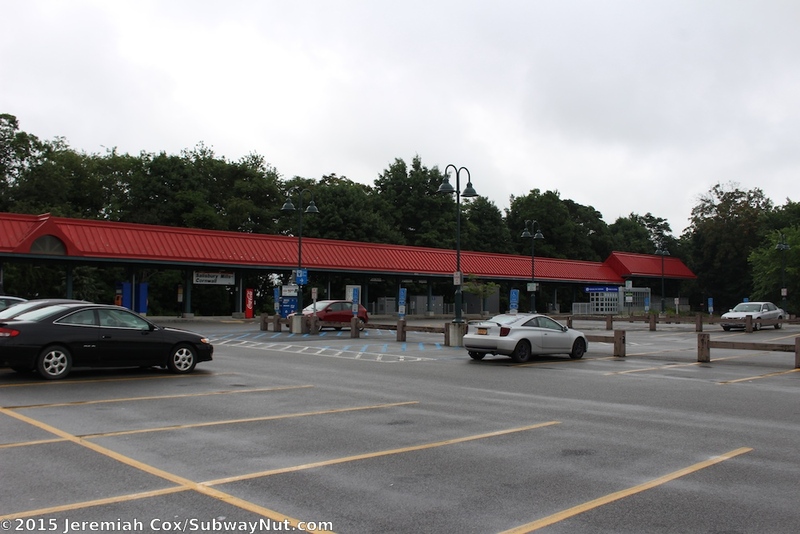 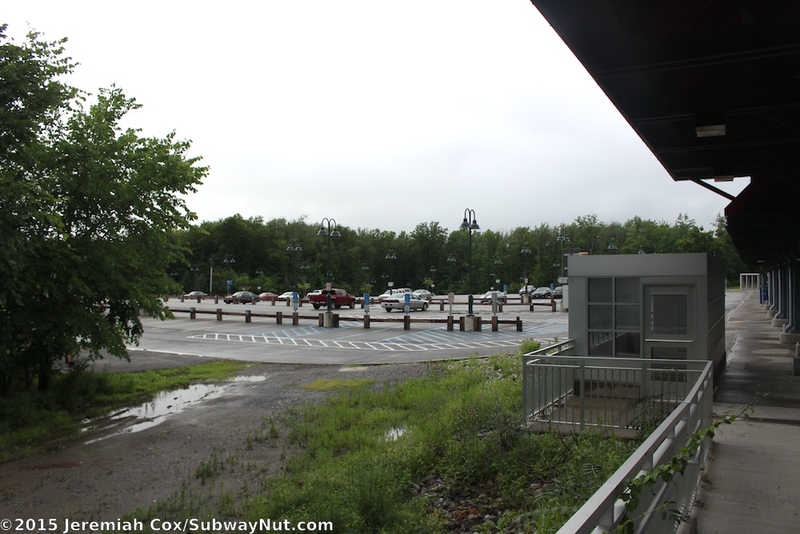 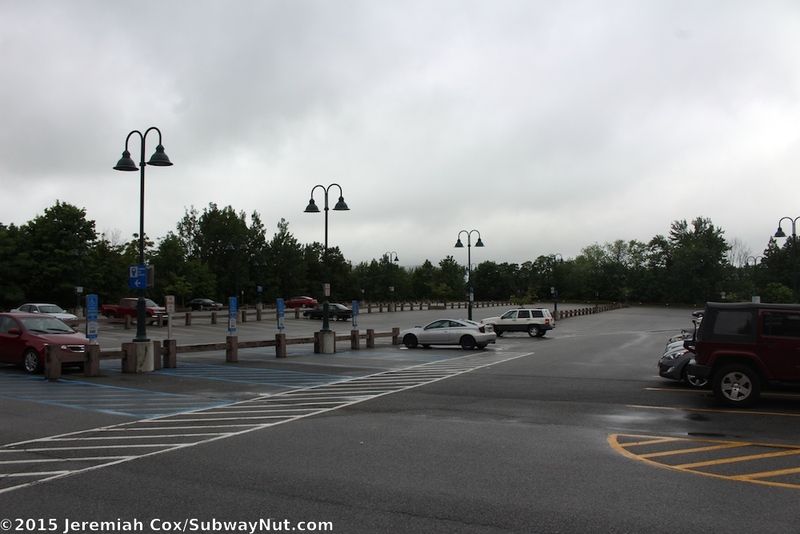 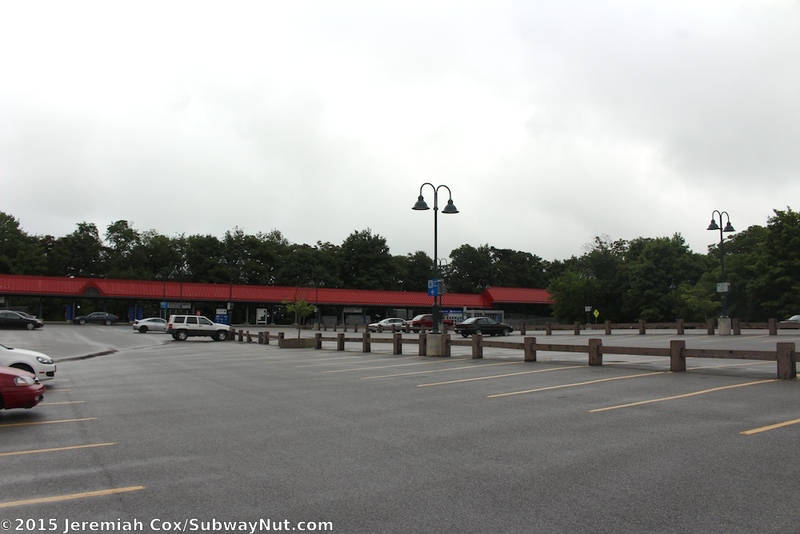 The platform (except for the very western end that has a silver fence) is directly at the end of the station's 677-space parking lot. 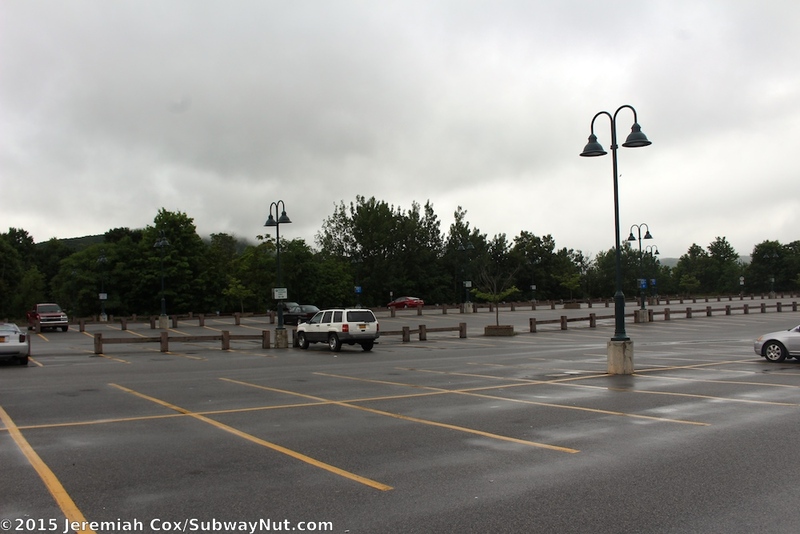 The western two rows of parking are daily parking with a wooden fence between the spaces with numbered signs for the pay machines ($1.25 per day, reduced from $2.50 in 2014). 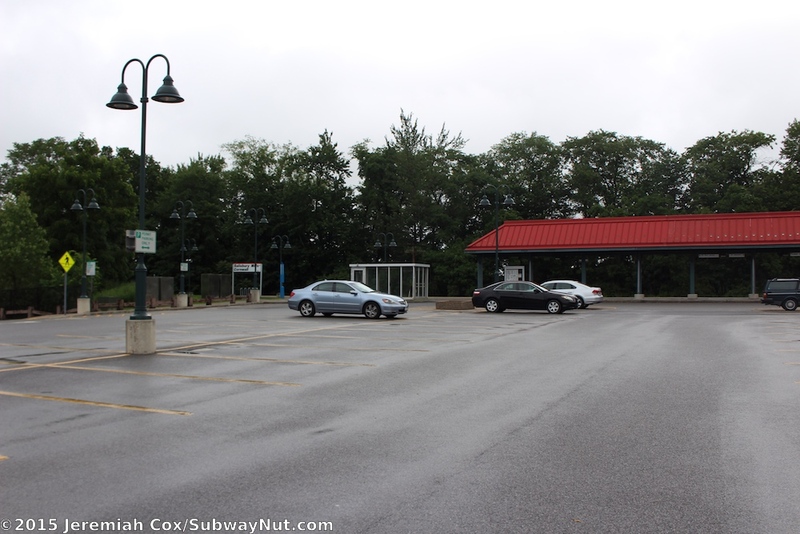 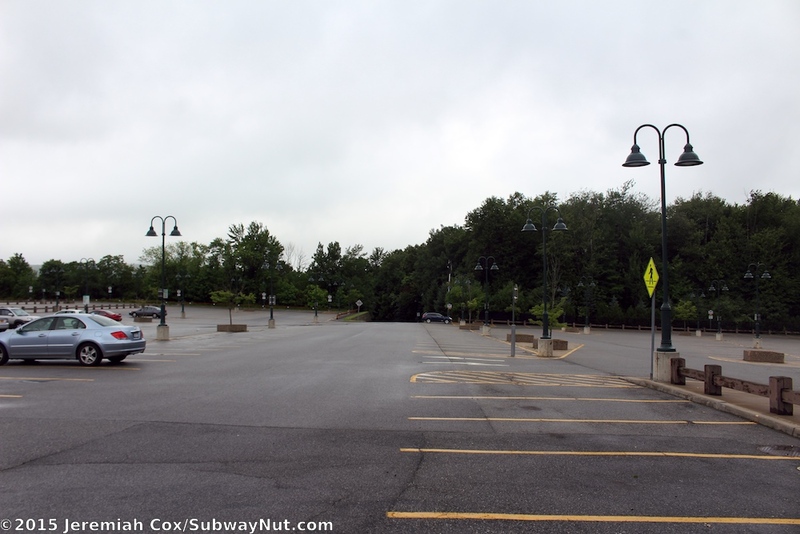 The rest is permit parking, now requiring a $20 yearly permit (originally $235 a year). 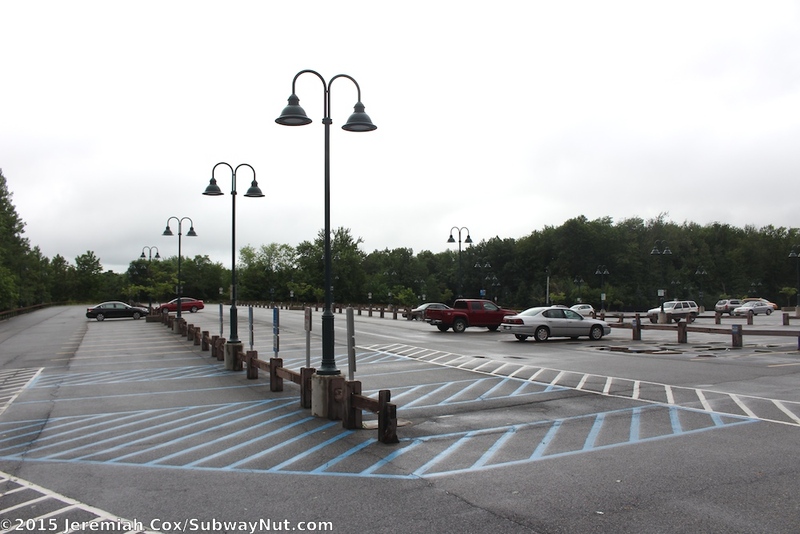 The parking lot is well lit with modern green lampposts and a few concrete boxes contain tree pits to make it less of a concrete jungle. 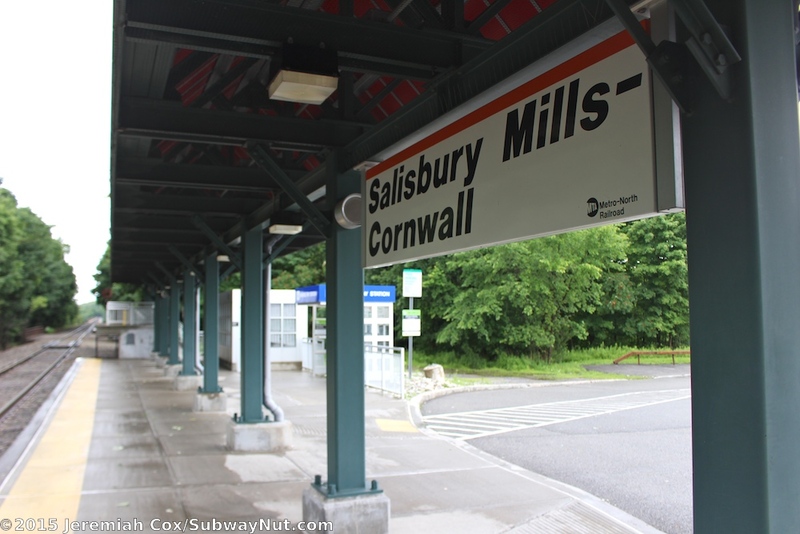 All access to the station is via a short and steep access road/driveway that lacks a sidewalk and leads up from a stop sign at NYS Route 94 where a white entrance sign reading Salisbury Mills/Cornwall Station in black text is located, held up by two squares of bricks marking the station entrance.